"My ultimate goal is to be part of a winning Volvo Ocean Race team. I hope that by joining the Academy, I will be one step closer to this goal. 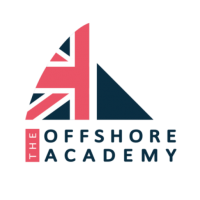 Having come from an Olympic sailing background, I want to add to my short course racing skills and learn how to adapt them offshore for several days and nights. I have very limited knowledge about engines, electronics and autopilots, so there is plenty to get stuck into and so much to learn. The Classe Figaro Bénéteau is a strict one-design class and the competition hold over decades of racing experience. The competition is crazily fierce and this is going to be a huge challenge for me." Mary Rook is the most experienced sailor the Offshore Academy has seen. She started elite competition in 2001 at the age of 15 when she got selected as a member of the 420 National Youth Squad. 2004 proved to be a key year for Mary, as she successfully started Match Racing, wining her first National Ladies title. She would win a second title in 2008, when she would also win the J24 Ladies World Championship as a tactician. In 2010, Mary Rook became Match Racing World Champion. In 2013, she switched to the new Olympic Class of 49erFX and won the National Championship. 2015 marked a key year for Mary, as she transitioned permanently from a successful Olympic sailing career to solo offshore sailing. She joined the Artemis Offshore Academy Development Squad for the 2016 Figaro season. Mary has competed in three races so far, ranking 19th at the Solo Concarneau, 17th at the Solo Maitre Coq and 15th at the Solo Normandie. For her very first participation on the world's toughest solo sailing race, Rook finished 32nd. Which Elliot Brown watch is for you? Bloxworth BO3 with a leather strap, i love it because the background is carbon and looks really racy, the numbers all glow in the dark and the strap is really comfortable. I feel very important when I'm wearing it! Most loved item of Musto kit? My Musto midlayers, i love them they are so warm and with a windstopper shell on the outside they stop all the nasty cold wind and rain from penetrating too hard. I love being in them so much i even wear them on land if i get cold.